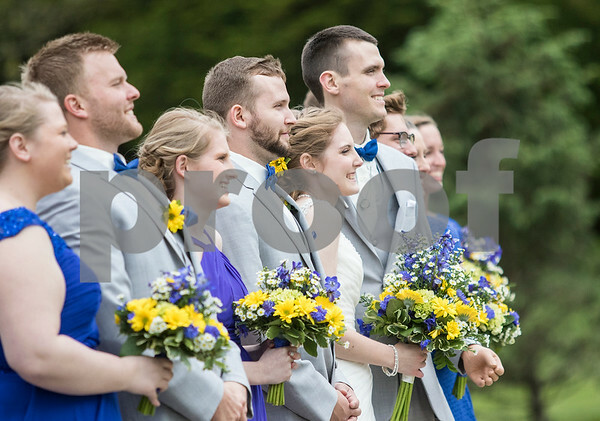 Newlyweds Ethan Menges and Jordan Mathieu pose with their wedding party during pictures at the Klehm Arboretum in Rockford before their reception after they were married on Saturday, May 14, 2016. Sixteen months ago, Menges was in a coma and through his recovery had his limbs amputated. Menges asked Mathieu to marry him while in the last portion of his hospital stay five months ago.